A bit of old-world charm beckons the poker world, when some of the best in the game converge on King’s Casino in Rozvadov, Czech Republic, from Oct. 19 through Nov. 10 for the World Series of Poker Europe. Eleven gold bracelets will be awarded as the series celebrates the 10 year anniversary of its first festival in Europe. Along with some serious hardware and €18 million in prize pool guarantees, the 2017 WSOP Player of the Year will be decided during the three weeks of action. The final winner will receive a free entry next year into the $10,000 WSOP Main Event in Las Vegas. The WSOPE has changed locations through the years, but has continued to grow with poker’s popularity boom throughout Europe. The series has become the biggest and richest poker festival in Europe and like the series in Las Vegas, PokerNews has signed on to be the official live reporting outlet for the event. Here’s a look at some highlights through the years. The WSOPE began in 2007 at the height of the poker boom with the first event on the continent. The series sought to expand its reach and the game’s growing audience in Europe seemed like a logical choice. The WSOP partnered with Betfair to stage the first event in London at the Casino at the Empire in Leicester Square. The event featured three tournaments culminating in a championship – and three European champions. The first-ever WSOPE bracelet was won by Thomas Bihl, who took home £70,875 in the £2,500 H.O.R.S.E. event that drew 105 runners. The German defeated Jennifer Harman heads up for the title. Another European took the second preliminary event, when Dario Alioto from Palermo, Italy topped a field of 165 in the £5,000 Pot Limit Omaha event and took home £234,390. 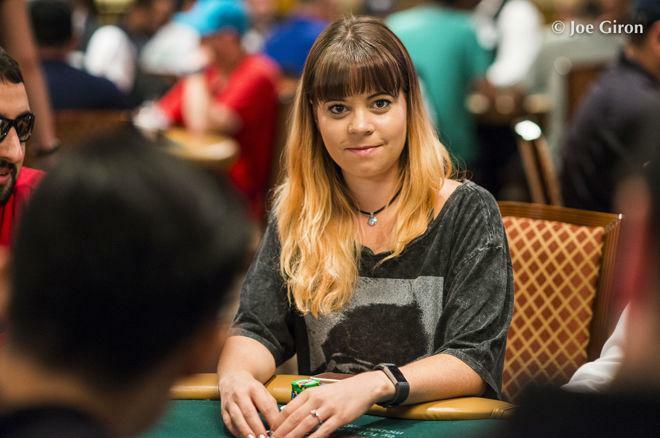 The £10,000 No Limit Hold'em Main Event brought plenty of headlines when 18-year-old Annette Obrestad took home the title in an event that attracted 362 players for a $3.7 million prize pool. The teenager poker phenom from Norway took home a cool £1 million and the first WSOPE Main Event bracelet. “Being the youngest and a female – it’s pretty sick,” she said after her victory. The fun returned to the Casino at the Empire, and an additional preliminary event was added to kickstart the series. Denmark’s Jesper Hougaard topped a field of 410 in the new £1,500 No-Limit Hold'em event for £144,218. It was quite a run for Hougaard, who also scored a bracelet earlier that summer in Vegas in another $1,500 No Limit Hold’em event for $610,304. Hougaard became the first player to win a bracelet in both events. In other events, Afghani businessman Sherkhan Farnood won Event 2: £2,500 H.O.R.S.E. for £76,999 and Denmark’s Theo Jørgensen won Event 3: £5,000 Pot-Limit Omaha for £218,626. Once again, the £10,000 Main Event attracted 362 players and an American finally brought home a European bracelet. After an epic 22-hour final table, California’s John Juanda notched the fourth of his five bracelets for £868,800. Another highlight was Ivan Demidov finishing third, becoming the first player to final table both the WSOP and WSOPE Main Events. Festivities returned with four bracelet events at the Casino at the Empire, but with a few changes. The H.O.R.S.E. event was out and a £2,500 Pot Limit Hold'em/Omaha was added. England’s J.P. Kelly scored another WSOP double – winning a bracelet in Las Vegas that summer and then winning Event 1: £1,000 No Limit Hold’em for £136,803. In the new split Pot Limit Hold'em/Omaha, Canada’s Erik Cajelais took home his first bracelet and £104,677. In Event 3: £5,000 Pot Limit Omaha, Finland’s Jani Vilmunen took home the bracelet and £204,048. Still in the burgeoning days of Full Tilt Poker, company founder and board member Howard Lederer finished runner-up for £126,134. The ‘09 Main Event brought in 346 players and maybe one of the series’ most memorable final tables, featuring bracelet winners Daniel Negreanu, Barry Shulman (CardPlayer magazine CEO), Praz Bansi, Jason Mercier, Chris Björin, and Matt Hawrilenko. Those players alone brought 10 bracelets to the final table which also included ‘09 November Niners James Akenhead and Antoine Saout – quite an impressive group. After six days of play, Shulman won the heads-up battle with Negreanu, snagging his second bracelet for £801,603. It was a big run in the Shulman family as Barry’s son Jeff finished fifth that summer at the Main Event in Las Vegas for almost $2 million. A few months later, Barry notched another seven-figure score, taking third in January in the PokerStars Caribbean Adventure for $1.35 million. It was another close call for Negreanu, who was denied his fifth bracelet after eliminating six players from the final table. But WSOP European glory would come later for Negreanu as well as a bracelet in Australia. Five bracelet events were staged at the Empire in 2010 as the series’ last year in the U.K. 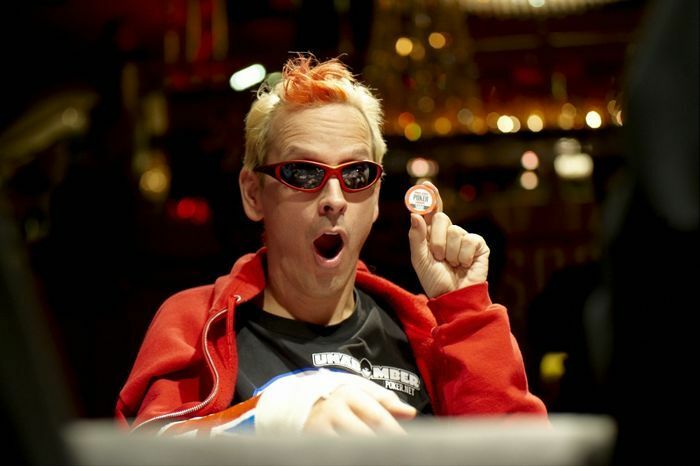 The events started with a blast as one of the biggest names in poker broke through to claim his first bracelet when Phil “The Unabomber” Laak won Event 1: £2,650 Six Handed No Limit Hold'em. Laak’s girlfriend Jennifer Tilly won a bracelet in 2005. He said they will not be playing in this year’s WSOP Europe, but he looks back fondly on his big run in the U.K. 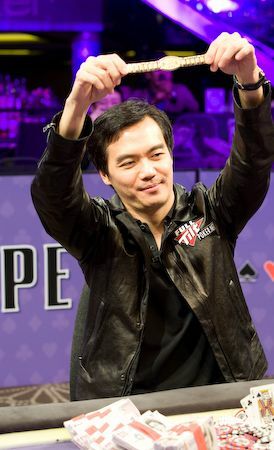 The win added a nice bullet point to the resumé of a player who played such a major role in televised poker as the game grew in the 2000s, and continues to play on the game’s biggest stages. In Event 2: £5,250 Pot Limit Omaha, Jeffrey Lisandro added to his illustrious career by winning the fifth of his six bracelets and taking home £159,514. Scott Shelley won the third event (£1,075 No Limit Hold'em) for £133,857, topping the series’ biggest field of 544. The WSOPE added a new event, the £10,350 No Limit Hold'em High Roller Heads-Up, before the Main Event. Like Laak, it was three-time World Poker Tour champion Gus Hansen winning his first bracelet for £288,409. In the Main Event, England’s James Bord went home with the bracelet and £830,401 top prize after topping a field of 346. After the WSOPE’s run in England for four years, the series faced some changes as a new destination in France loomed on the horizon. With its popularity stable on the continent, the WSOPE would continue to grow in the coming years both in players and in number of events. With four Main Events complete, bragging rights belonged to the U.S. with two titles in the first four years. Check back at PokerNews for History of WSOP Europe: Part II.